HSBC Bangladesh started its operation on 17 December 1996 in Dhaka with a vision to satisfy its customers with high quality service that reflects its global image as the premier International Bank. In 1999 it has opened one Branch in Chittagong and two Booths in Gulshan and Motijheel. Recently, another Branch has started operating from 2 March 2003 in Dhanmondi. All of these offices were inaugurated by Mr. David G. Eldon Chairman HSBC Asia Pacific, during his visit in February 1999 and March 2003. HSBC Bangladesh also has an Offshore Banking Unit, which provides banking services for foreign companies based in the Export Processing Zones in Dhaka and Chittagong. HSBC Bangladesh also introduced the ATM and telephone banking facilities for personal Banking business. We intend to meet the needs of our clients and enhance our profitability by creating corporate culture. We aim to ensure our competitive advantages by upgrading banking technology and information system. We provided high quality financial services to strengthen the well being and success of individual, industries and business communities. We believe in strong capitalization. We maintain high standard of corporate and business ethics. We extend highest quality of services, which attracts the customers to choose us first. We create wealth for the shareholders. We maintain congenial atmosphere for which people are proud and eager to work with HSBC Bank. We believe in disciplined growth strategy. We encourage various term investments to investors to buy our stock. We intend to plat more important in the economic development of Bangladesh and its financial relation with the rest of the world by interlining both domestic and international operations. (1) To coordinate the activities of employees so that they work together most effectively to implement a strategy that increases competitive advantage. (2) To motivate employees and provide them with the incentives to achieve superior efficiency, quality, innovation, or customer responsiveness. Good organizational design increases profitability of a firm, as it can be seen from the figure. Thus a well planned organizational structure is crucial for a firm. The organizational structure of HSBC Bangladesh has been created, keeping these factors in mind. The structure can be analyzed in terms of differentiation. The aim of vertical differentiation is to specify the reporting relationships that link people, tasks, and functions at all levels of a company. This means that management chooses the appropriate number of hierarchical levels and the correct span of control for implementing a company’s strategy most effectively. The organizational hierarchy establishes the authority structure from the top to the bottom of the organization. The span of control is defined as the number of subordinates a manager directly manages. The basic choice is whether to select a flat structure, with few hierarchical levels and thus a relatively wide span of control, or a tall structure, with many levels and thus a relatively narrow span of control. HSBC bank Bangladesh has a flat structure, with only five levels in the management. The top most level is the CEO (Chief Executive Officer) level. The CEO, Mr. David J. Griffiths is the head of the organization. The next top position is Manager. The “Managers” of HSBC can be compared to the departmental heads of other organizations that are doing business in Bangladesh. The head of human resources is the HR Manager in HSBC. In other organizations, entry level employees are termed as “Executives”, which is a mistake. By definition, executives should be the topmost employees of an organization. In HSBC, CEO and the managers are called executive level employees. The managers report to the CEO. The managers have three levels of non-executive employees reporting to them. When a person first joins HSBC, in most cases, he or she joins as an Assistant Officer. Only in extremely rare cases, where the applicant has ample job experience, a person might join as a Supervisor or Staff Officer. Supervisors and Assistant Officers are required to follow a predefined dress code. The dress code is relaxed for staff officers, the managers and the CEO. They may or may not wear the assigned dresses. HSBC is free from these problems. Whereas vertical differentiation concerns the division of authority, horizontal differentiation focuses on the division and grouping of tasks to meet the objectives of the business. 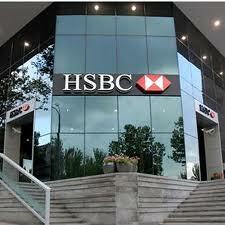 HSBC Bangladesh uses the most popular and common structure, the functional structure. Functional structures group people on the basis of their common expertise and experience or because they use the same resources. Functional structures have several advantages. First if people who perform similar tasks are grouped together, they can learn from one another and become better—more specialized and productive at what they do. Second, they can monitor each other to make sure that all are performing their tasks effectively and not shirking their responsibilities. As a result the process becomes more efficient, reducing manufacturing costs and increasing operational flexibility. All the branch managers report to the manager, Personal Financial Services (PFS). The sales team also reports to him. The sales team consists of MSO (Mobile Sales Officers) and call center representatives. These departments are called the “Small” departments, due to smaller workforce. All the departments follow the previously mentioned flat structure. That is, there are managers, supervisors, staff officers and assistant officers in almost all the departments. Corporate banking and PFS—these two departments have their own workforce. There are certain divisions within some departments, as well, e.g. HTV is divided into HTV Import and HTV Export. This department relates to all other departments in order to provide technical services. This department’s job is to plan, negotiate and purchase maintenance of IT, communications, PABX, security system etc. • Maintains communication media and security system. • Provides technical support to LAN communication system. This department is responsible for all offline branch run report. The HUB officer is responsible for coordination with Technical service department to ensure the system is used and understood to HUB’s full potential and is available to end user for maximum available time. It ensures department operations in accordance with group statement and procedure. • Assists HUB operations operated by other staffs. Like that of any other organizations, the Admin department of HSBC makes sure that the organizations moves on with all its departments and staffs operating according to all the rules and regulations of the company. It also prevents any bottlenecks within the work process and ensures smooth functioning. The admin department has two divisions – General Administration and Business Support Services. The general admin division is pretty much similar to the admin departments of other companies that ensure discipline and regulatory concerns. The business support services provide supports to the departments during employee leaves and sudden terminations so that the department can function without problems. This department can be described as the ‘Power House’ of HSBC Bangladesh. NSC does the back office job for the bank. The main four jobs that are performed by NSC are Clearing, Scanning of signature cards, issuing checkbooks and sending & receiving Remittances. NSC looks after the clearing process of HSBC and makes necessary contact with the central bank for maintaining account flows. All the customer signatures are scanned in this department and are entered into the system. NSC also issues checkbook for new and old accounts based on requisition from various branches. ‘Remittance’ is a banking term, which means ‘Transfer of funds through banks’. When a bank remits on behalf of its customers, it is termed as outward remittance. On the other hand, when the bank receives the remittance on behalf of the bank, it is inward remittance. The following are the methods that NSC used to remit money for customers: Telegraphic Transfer (TT), Demand Draft (DD) & Cashier’s Order. HSBC is nationally on-line. Anyone having account in any branch in Bangladesh can transact in any branch of HSBC Bangladesh. NSC facilitates this network-service. Any type of information about the customers are loaded or composed in the system through NSC. • Facilitates the network service. • Updates the information system. • Generate the Phone Banking PIN and the ATM PIN. FCD is responsible for the preparation of the Annual Operating Plan (AOP), monitoring treasury risk limits, profit exposure and maintaining strong liquidity. FCD is the key member of the Asset Liabilities Committee (ALCO), which deals with how efficiently the bank’s assets and liabilities are managed. • Analysis of the reports. • Scrutinizing daily functional statement. • Checking the accounts and giving necessary feedbacks. • Monitoring risks and profits. • Analysis of the transactions. • Maintains bills and vouchers. This department deals with the cash management. As continuous cash transaction goes on and there is a limit of keeping money in the bank-volt this department should be sincere about the availability of money when needed. Moreover foreign exchange rates are also monitored by this department. • Monitor the call money rate. • Monitor the foreign exchange rate. • Confirm the availability of money. • Cash management through participating in call money market. • Fulfill the requirements of Bangladesh Bank. The functions of Human Resources Department are strategic planning and policy formulation for compensation, recruitment, promotion, training, development and appraisal. This department also contributes to employees’ performance by providing standard of training. • Communicate with all external and internal entities. • Monitor leave, payroll, increments and allowances etc. • Maintains financial flows related to HRD. • Plan and arrange the development training programs for the employees. • Ensure the standard of the group. • Help to ensure the cost effectiveness. • Provide full logistics supports to all departments for quality services. • Plan for development of the company. • Develop plans for support services. • Conduct the performance evaluation. Internal Service Officer is responsible for ensuring quality. Through fulfilling audit requirements it maintains the local and group compliance. This department is responsible for increasing public awareness of the Bank’s name, products and services, image etc. HSBC is giving more importance on marketing its products and services through advertising in newspapers, billboards, banner and publishing leaflets, newsletter etc. • Coming up with innovative and different promotional approaches. • Conducting, Coordinating and organizing media activities. This department deals with all types of banking with the institution or organization rather than personal financial services. • Analysis of credit risk. • Follow-up and facilitate documentation in corporate customer relationship. • Assists the treasury department. • Collect information from different organizations and maintain liaison with them. • To monitor the corporate accounts on daily basis. This department maintains a close relationship with corporate banking, credit operations and personal banking for marketing selling trade services to the existing and targeted customers. This department handles all trade related businesses of the bank. • Deals with amendment and bills. • Maintains export and import formalities. • Ensure quality services for the customers. This department facilitates the development of money market and investment activities of bank. This department explores the FI (Financial Institution) market; identify customers and FI related issues. Maintain close relation with the foreign exchange issues. The prime duty of this department is to make sure that the bank complies with BB (Bangladesh Bank), SEC (Stock Exchange Commission), DSE (Dhaka Stock Exchange), CSE (Chittagong Stock Exchange) and client reporting requirements. • Complies with financial institutions’ requirement. • Monitor feedback and supervise operation in the financial markets. • Make liaison with different level. • Prepare the plan of activities for different department in the financial market. • Facilitate the transfer of share certificate. • Maintain documents related to share market. This department coordinates the lending facilities. This is also a member of ALCO. This department is responsible for all necessary documents and securities related to corporate and personal lending. • Ensure customer credit documents and necessary papers. There are two separate departments under Credit management: PFS credit which deals with individual lending and CMB credit which deals with the Commercial lending. This department supervises the Customer Service Department (CSD), ATM (Automated Teller Machine) center & Product Development department. Through loyal and committed employees who make lasting customer relationships and international teamwork easier to achieve these principles. Staff: ensure amicable work environment foster trust among colleagues allow fairness to prevail at all times demonstrate sincerity and sense of belongingness ensure respectful environment. Customer: make sure importance is assigned to each customer courteous behavior to be provided at all times to ensure that no tangible discrimination occurs. Ensure staffs are thoroughly aware of respective responsibilities. • The promotion of good environmental practice and sustainable development and commitment to the welfare and development of each local community. HSBC’s reputation is founded on adherence to these principles and values. All actions taken by a member or staff member on behalf of a Group company should conform to them. HSBC offers the convenient and flexible form of short-term financing for routine operating expenses and overheads of the company. Loans against import are available when the company purchases under Documentary Credit or Documentary Collections terms. Pre-shipment finance is available to meet the working capital requirements. Advances are granted upon production of a buyer’s contract or export DC. A cash advance is made when a company exports goods to a buyer through Documentary Collections, either on a Documents against Acceptance (DA) or Documents against Payments (DP) basis. HSBC can customize a Term Loan to finance the fixed assets that the business needs (such as land, new premises, equipment and machinery). It may be a green-field project or an expansion of an existing plant that may be financed at competitive floating rate of interest. HSBC in Bangladesh issues a full range of Performance Guarantees, Advance Payment Guarantees, Financial Guarantees and Bid bonds for supporting the underlying business of the customers. To assist the cash-flow when companies are manufacturing or packing the goods, HSBC can arrange pre-shipment finance facilities. A Packing Credit (PC) can be offered which will enable the company to purchase raw materials or other related expenses that may require to process and export. If the documents, after checking, are found to contain no discrepancies, HSBC can consider negotiating and paying the company the discounted value of the invoice. No facilities are required, and funds will typically be advanced on the same day if documents are presented before noon. Electronic export DC Advising is a new and alternative way to receive a full copy of the Export Documentary Credits (DCs), amendments and export transaction advices via email. The service brings direct benefits to the business at no extra cost. HSBC provides incoming documents against imports from Bangladesh that are processed for a fee by the Bank. HSBC provides the loans granted to importers to pay for their imports into Bangladesh. HSBC provides a guarantee issued to shipping companies to allow release of goods prior to arrival of import documents. HSBC’s Global Payments and Cash Management services provide domestic and regional transaction solutions to blue-chip companies throughout the world. Services include a comprehensive range of traditional account and transaction services, augmented by HSBC’s liquidity and financial management techniques and delivered via our global electronic banking system, Hexagon. HSBC’s commitment to service excellence, reputation for stability and understanding of the region has repeatedly been recognized through citations by major business publications. With the local expertise in Bangladesh, HSBC is well versed in local practices and regulations affecting the management of cash on a domestic and regional basis. – Reduction in payment time. -Cost reduction through efficient fund management. -Detailed MIS on cash collection and payment, resulting in better management. -Centralization of control of all your cash and instruments. -Network coverage of almost 200 locations nation-wide. -Quicker cash collection in a central account, resulting in greater earnings. Preparation of cheques through Hexagon Cheque Writer. Reconciliation of cheques at the Hexagon ledger. Advice along with cheque leaves. No further installation required since it is built in our Hexagon module. Recurrent payments can be stored and printed. Convenience of in-house cheque printing. The organization’s computer system provides the customer the opportunity to make transaction between accounts at different branches. No matter where the organization’s account is held the customer can withdraw money from any HSBC branch or ATM in Bangladesh. HSBC offers both local and foreign currency current accounts and local currency savings accounts for its customers to save money. Both local and foreign currency time deposit schemes are offered by HSBC for its individual customers. HSBC offers Personal Installment Loan (PIL), Personal Secured Loan (PSL), Personal Installment Credit (PSC), Home Loan and Car Loan. More details on these products are provided in the appendix. Under the car loan scheme HSBC offers a loan up to 70% of the car value. Cash security or personal guarantee is not required for the loan. Cars can also be insured at discounted rates. HSBC’s education loan can help the customer accomplish the desire for higher studies. Cash security or personal guarantee is not required. Private and Secure: Phone-banking is designed for total privacy. To ensure the confidentiality of the transactions, the account can be activated only by keying in both the Phone-banking Number (PBN) and the Personal Identification Number (PIN). User can also change the PIN as often as he or she like for added security. Fast and Easy: Simple-to-follow instructions, will guide the user all the way through multiple transactions. For added convenience HSBC has developed a Quick Search function to speed the various transactions. Comprehensive: The Phone-banking service allows the user to perform a wide range of transactions, from fund transfers to term deposit placements. A quick guide to personal banking charges is intended to give a clear picture of the fees HSBC charges for their most commonly used services. HSBC hopes that the simple tables will help the customers manage their money more effectively. The sections on specific account types should be read in conjunction with the section entitled “general services—all accounts”. The charges in this guide were correct at the time of printing (July 2002) but remain subject to change. These changes are applicable only to the accounts maintained in Bangladesh with The Hongkong and Shanghai Banking Corporation Limited, which reserves the right to introduce charges not included in this guide. For charges that are not mentioned in this guide, please refer to the relevant promotional material. Payment of foreign currency notes is subject to availability. The charges for remittances do not include any charges that may be imposed by other banks. * Interest is calculated daily for savings accounts and payable half yearly at the Bank’s prevailing interest rate. Correspondents/other Bank charges, if any, will be additionally recovered from client. As discussed above the Marketing Administration Department formulates & executes various marketing strategies of HSBC Bangladesh. This department also administers various marketing research activities on the existing and potential customers of HSBC. Some such research activities are: mystery shopping, critical incident surveys, customer suggestion surveys, etc. The results of these surveys are integrated while formulating various marketing strategies. This department also deals with the billing and invoicing of various marketing & advertising costs of HSBC Bangladesh. The Promotion Division under the Marketing & Product development Department of PFS deals with all the promotional activities of HSBC Bangladesh. Prime responsibilities of this department are: Maintaining strong public relations with various media intermediaries, Advertising the companies products and services, building a strong corporate image of HSBC in Bangladesh. The promotion department organizes various environmental and social activities in order to build a strong corporate image of HSBC in the minds of customers as well as in the media. Maintaining strong relationship with news media is another major duty of this department. a) Newspapers Advertising: Regular advertisements of various products and services of HSBC are given in some of the countries most renowned daily newspapers. b) Billboards: Huge colorful billboards with HSBC logo are found in various major areas of Dhaka and Chittagong. These billboards emphasize on the needs of customers and shows HSBC logo as solution to their needs. c) Road Side Signposts: Medium sized multi color signposts focusing on various products of HSBC are found on the roadsides of various posh areas such as, Gulshan, Dhanmondi, Baridhara, Motijheel, etc. d) Mailers: various product updates and new product information are regularly sent to existing customers of HSBC. e) Brochures: Various colorful brochures featuring specific products of HSBC are being displayed and distributed to existing and potential customers via branch offices and Mobile sales officers. These are some of the promotional activities conducted and coordinated by the Marketing department. There are also three off site booths, which are located in Dhanmondi, Uttara and Shantinogor. HSBC is not only maintaining the relationship to its customers and employees but also with the society. It is committed to the community to its (community) development. HSBC always tries to contribute to the society by helping the people who are less fortunate and are deprived of their right. ASF is an organization established in May 1999 to tackle the problem of acid violence in Bangladesh. ASF works with NGOs, the Government of Bangladesh and the international community to prevent future attacks, to ensure survivors have better access to quality medical care, to provide survivors with better access to Bangladesh’s criminal and legal justice systems, and to assist with the survivors’ rehabilitation-access to education, training for new skills, and finding employment. HSBC Bangladesh supports the work of the Acid Survivors Foundation in providing medical support and assistance to the victims of this abuse. CRP is the most common institution where HSBC Bangladesh constantly makes donations for different purposes. For example, HSBC Bangladesh organized a painting exhibition of Lovely in the Gulshan office on Thursday, 8th August 2002. Lovely is a mouth painter and resident of the Centre for the Rehabilitation of Paralyzed (CRP). She has no sensation or muscle power below her neck. She suffered a cervical spinal cord injury as a result of a fall from fourth floor of a building in 1995 when she was about ten years of age. Her treatment at CRP, like that of many other desperately poor people in Bangladesh, was entirely supported by donations. During her treatment at CRP, she developed a fascination in painting pictures and had developed a skill to paint with her mouth. The proceeds from this Painting Exhibition were donated to the Centre for the Rehabilitation of the Paralyzed (CRP) for the physiotherapeutic treatment, education and occupational development of Lovely and others like her. HSBC Bangladesh looks to areas where it can make a difference in the community. Some of the employees came forward to help the flood affected victims in Bangladesh, the Bank too made a contribution to this staff initiative. Society for the Welfare of the Intellectually Disabled, Bangladesh (SWID, Bangladesh) is a non-government voluntary organization working for the cause of intellectually disabled. It has been established in 1977 by some parents and professionals for children with intellectual disabilities to fill a major gap in the country for their treatment. This charity assists mainly young people and children who are mentally retarded by raising awareness and through 39 schools they run throughout the country. HSBC’s donation is used for educational material for the students. HSBC in Bangladesh is committed to directly working with these people with disabilities and enabling them to be self-reliant and contributive to society’s development. This charity assists disabled people return to normal life through provision of devices such as wheelchairs. HSBC’s donation will help 62 men; women and children regain their physical independence. A number of used computers and the network devices have been donated to Electrical and Electronic Engineering Department of Bangladesh University of Engineering and Technology (BUET) for demonstrations and laboratory purposes. Women from the British Community in Bangladesh help raise money for various charities. Our donation went towards a Street Party they had arranged for children, Acid Survivors Foundation (ASF), Centre for the Rehabilitation of the Paralyzed (CRP) and the Sreepur Orphanage. The School of Hope was established in January 1990 with the general aim to provide education to economically disadvantaged children. The school provides nearly free primary education for children living in the slums adjacent to the school. The school has grown from 25-30 students to 125 students, which alone is the testimony of its success. The school runs mainly on donations among which HSBC in Bangladesh is one of the donors. A few years back, as it became evident that some children did not get anything to eat before coming to school, the school board decided to start a snack program. The snack program includes the following: milk-everyday, a warm meal-twice a week and a fruit or another kind of snack once a week. When a child needs medical care, the headmaster usually sends the child to a centre near by. Once a year, the students get a dental check up courtesy of Johnson’s Place Dental Practice. The school pays for students requiring any serious or urgent treatment. The school has introduced a new library project where donations of books, appropriate for children are welcome. Also every year the school provides warm clothes during winter. In August 2002, HSBC in Bangladesh took the initiative of computer training classes to those students from the top class at the School of Hope in their training centre at Motijheel office with HSBC volunteers as part of our commitment to help those less fortunate.